This study used the methods of digital signal processing such as fast Fourier transformation, linear prediction coding, and power spectrum to analyze the recorded data in this study. The combination of Chinese medicine and automatic speech recognition technology based on major analysis methods of time-domain,frequency-domain and integrated interface with Apple iPad system. 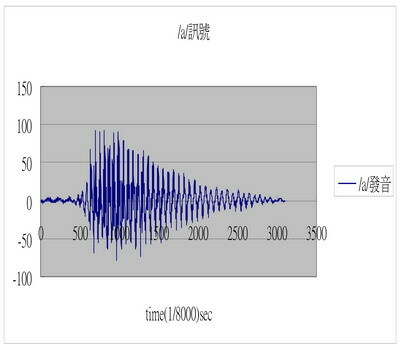 The study recorded voice for analysis by using iPad. The study compared all of the data and found that the voice signals of healthy subjects showed to be more stable than unhealthy subjects. Healthy subjects did not show difference from the start to the end of the recorded voice. However, unhealthy subjects had difficulty of maintaining a stable voice. Their voices presented various formants around the end of lasting voice. Since unhealthy subjects could not maintain stable voice, their LPC spectrums drifted or disappeared. In addition, healthy subjects were more stable than unhealthy subjects in the special region of power spectrum. This study designed two features and used the fisher discriminate methods to analyze and discriminate subject’s health.